Let’s get the party started, rent one of our 18 or 40 passenger Winter Haven party buses! 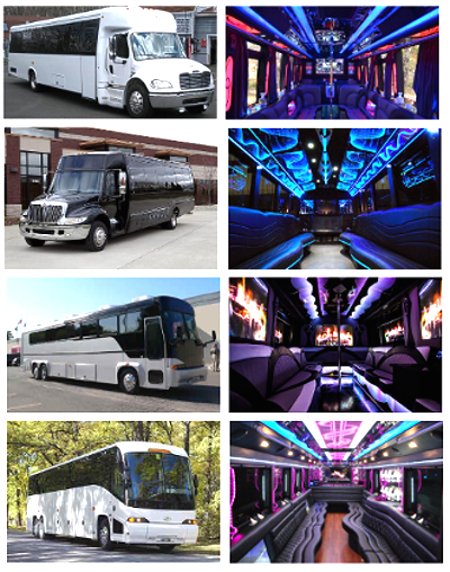 Renting a Winter Haven Florida Party Bus will allow you to take the party on the road. They’re like a club on wheels – great sound systems, large screen TVs, luxurious leather seating, multiple bars, in motion satellite, restrooms, and much more! Don’t wait any longer, call Orlandolimorental.com to get a free quote and reserve a fantastic party bus! Orlandolimorental.com in Winter Haven Florida has a large fleet of coach buses, shuttle buses, mini buses, charter buses, and limo buses to service all your large group transportation needs. We provide airport shuttle buses, airport transfers, and airport transportation for the Orlando International Airport and Tampa International Airport. Call us for reliable bus transportation and affordable rates in Winter Haven FL.